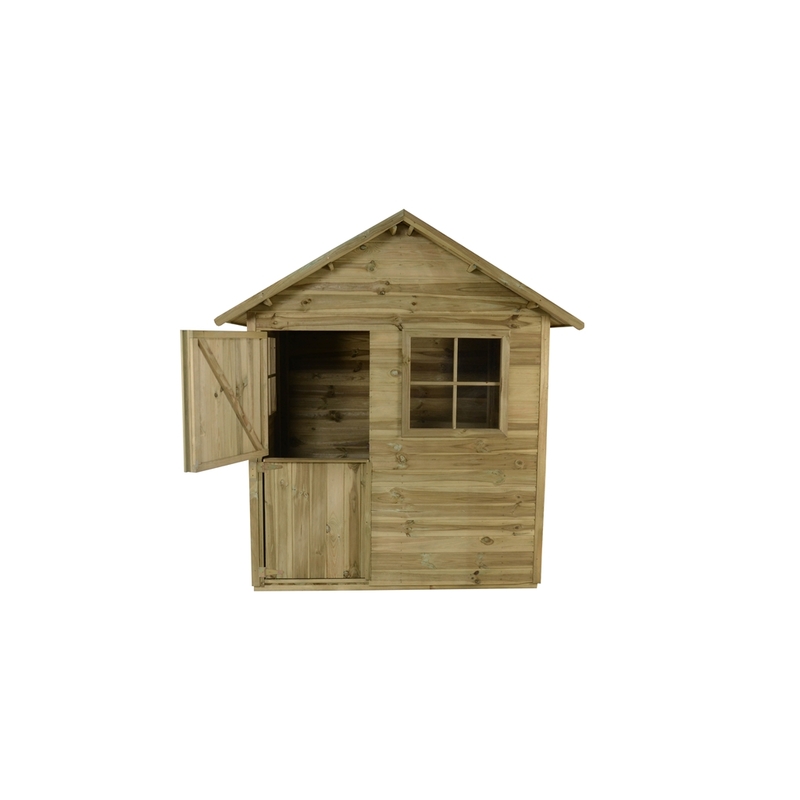 The thyme kids playhouse is a larger than standard playhouse with a higher roof height. 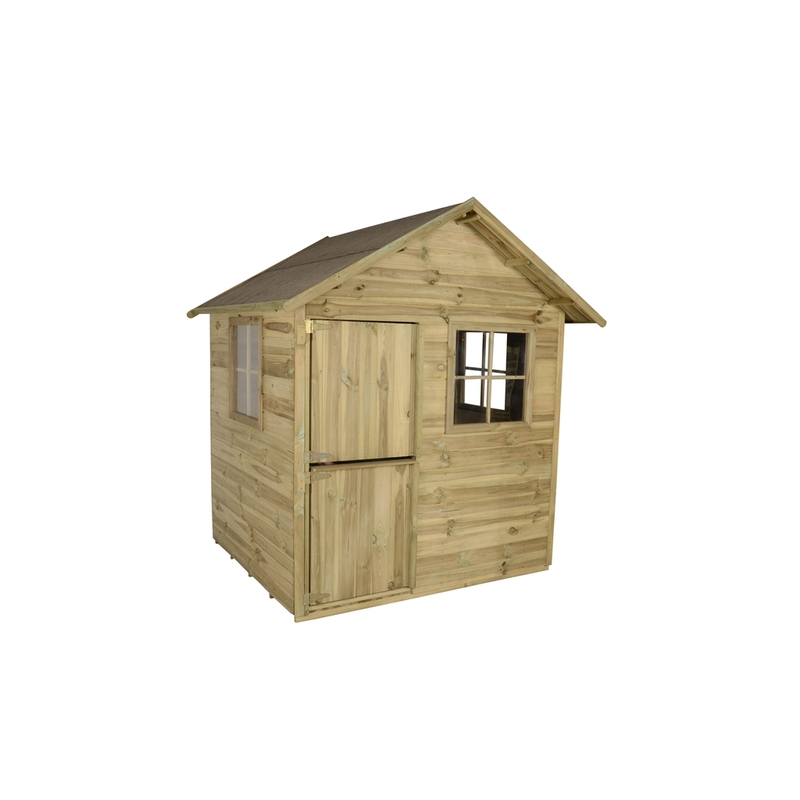 The generous sized playhouse has been built with top quality tongue and groove cladding and has been made to be perfectly safe for children, with rounded corners and a smooth and safe finish. The front and side styrene windows allow for plenty of natural light and come with traditional square grilles.